Uniquely created seven-night cruise itinerary following Gohagan & Company’s tradition of innovative, small ship programming. Exclusively chartered cruise aboard the newest Five-Star expedition ship Le Bougainville, launching in 2019, accessing ports unavailable to larger vessels. Private balcony for every Suite and Stateroom. Only 92 Suites and Staterooms. Exclusive onboard lectures by study leaders. Features seven UNESCO World Heritage sites, including Italy’s breathtaking Amalfi Coast and Sicily’s ancient Greco-Roman sites in Syracuse and Agrigento. Tremendous value for a small ship program cruising to these varied cultures and destinations. Eternal Rome Pre-Cruise and Timeless Malta Post-Cruise Options. Capital of the ancient Roman Empire and a UNESCO World Heritage site, the “Eternal City” of Rome showcases its spectacular ancient landmarks from centuries as a nucleus of power, culture and religion. Visit the ancient Colosseum, the historic Roman Forum and the fifth-century Church of St. Peter in Chains, which houses Michelangelo’s famed sculpture of Moses. 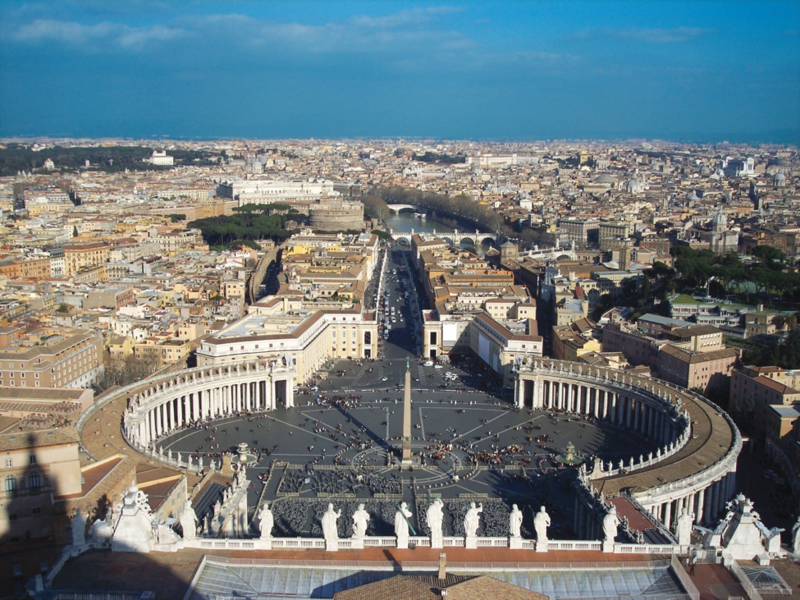 Enjoy a tour of incredible St. Peter’s Basilica and walk through the opulent Vatican Museums, including the famous Sistine Chapel, featuring Michelangelo’s awe-inspiring ceiling frescoes. Accommodations are for three nights in the deluxe Westin Excelsior Rome, ideally located within walking distance of the grand Via Veneto, one of the most elegant streets in all of Rome. The extraordinary island of Malta is referred to as “one of the most concentrated historic areas in the world.” Walk the medieval streets of the beautifully preserved walled town of Mdina, where settlement pre-dates 4000 B.C., and explore its extraordinary Baroque-style architecture. Experience the fabled Blue Grotto (weather permitting), a sea cave illuminated by the brilliant blue reflection of glistening underwater sunlight. Visit the underground Lascaris War Rooms, where General Eisenhower directed the invasion of Sicily during World War II’s American-led “Operation Husky.” Tour the opulent interiors and magnificent gardens of the family-owned, 18th-century Palazzo Parisio, known as a “miniature Versailles.” Accommodations for two nights are in the Five-Star Grand Hotel Excelsior Malta. The Pre-Cruise and Post-Cruise Options are available at additional cost. Details will be provided with your reservation confirmation. Le Bougainville marks a new generation of Five-Star small ships, which combine revolutionary design and new standard of luxury for an unparalleled expedition cruising experience. In the spirit of history’s great explorers, Le Bougainville, launching in 2019, ventures where no ship has gone before, navigating remote destinations where authentic encounters with captivating cultures, spectacular wildlife and majestic scenery await you. Exclusive to the Ponant Explorers Fleet is the extraordinary Blue Eye, a multisensory underwater observation lounge that incorporates bionic and biomimetic decor and technology to immerse you in the beauty of the ocean’s ecosystem. Observe marine life through the large subaquatic windows and on digital screens projecting undersea activity in real time, while specially designed hydrophones echo the ocean’s ebb and flow, and relay the sounds and senses beneath the water’s surface. The newest addition to Ponant’s “Clean Ship” fleet, a rare designation among ocean-cruising vessels, the ship is energy efficient and eco-friendly, protecting fragile marine ecosystems while providing a safe and comfortable voyage. Le Bougainville includes 92 elegant Five-Star Stateroom and Suites, each featuring a private balcony. Grand Deluxe Suites have a bay window and spacious private terrace. Accommodations offer two twin beds or one queen bed, individual climate control and luxurious hotel amenities. Dine indoors or alfresco on international and regional cuisine served in the stylish, spacious indoor‑outdoor restaurant, at the casual pool deck grill or from 24‑hour room service. Daily meals include continental and buffet breakfasts, buffet lunch, afternoon tea and a four‑course dinner. Inspired by the natural and nautical worlds, the warm and inviting public areas are marked by a refined elegance. Enjoy sweeping views from the lounges, which open to the outdoors, and lectures, cultural performances or film screenings in the state‑of‑the‑art theater. Relax in the spa and sauna rooms or the Sun Deck’s infinity-style swimming pool. The ship has a beauty salon, fitness room and, for your convenience, two elevators. Complimentary Wi-Fi is available throughout the ship. The highly trained, English‑speaking crew are personable and attentive, and the ship has an infirmary staffed with a doctor and nurse. 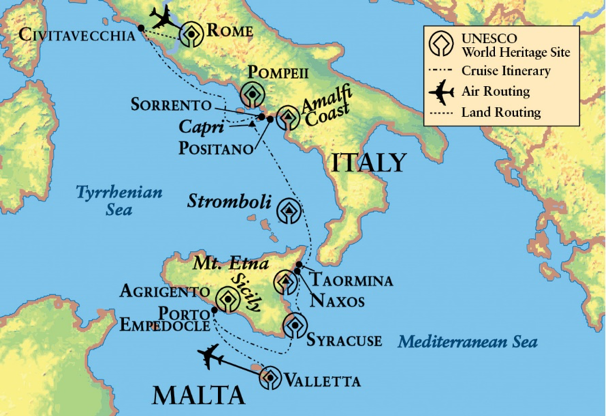 Seven-night cruise from Civitavecchia, Italy, to Valletta, Malta, with port calls at Sorrento for Amalfi Coast, Positano and Pompeii, Italy; island of Capri; Naxos for Taormina, Syracuse, and Porto Empedocle for Agrigento, Sicily. Elegantly appointed, Five-Star Suite or Stateroom, each with a private bathroom and private balcony. Complimentary Wi-Fi is available throughout the ship. 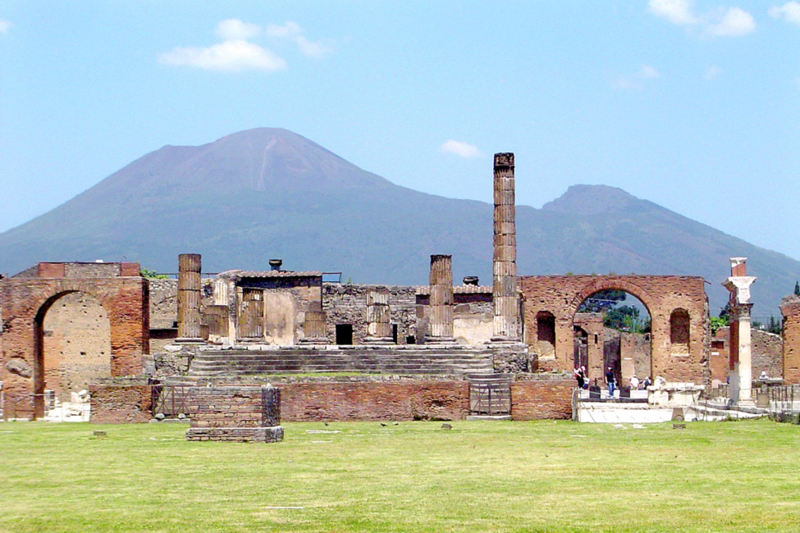 Excursion to Pompeii, a UNESCO World Heritage site, with guided tour of the remarkable archaeological preservation. 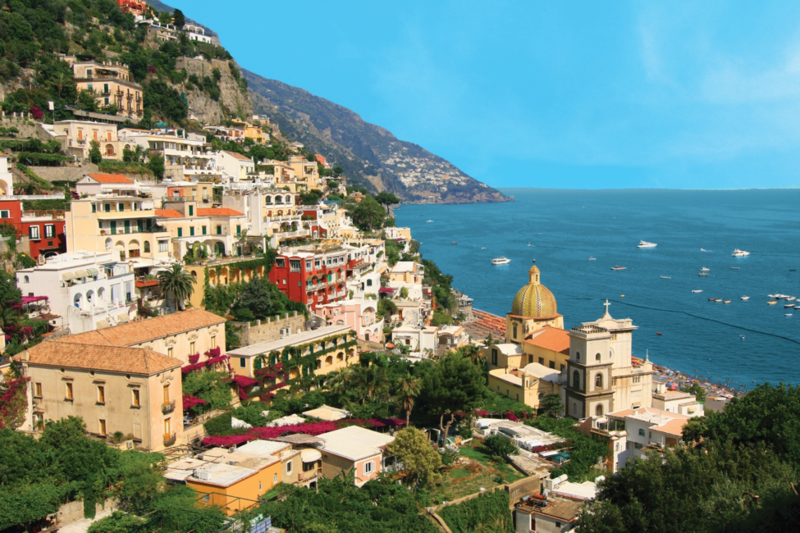 Drive along the Amalfi Coast, a UNESCO World Heritage site showcasing Italy’s natural beauty. Time at leisure in breathtaking Positano to explore this charming Amalfi Coast village. Time at leisure on the island of Capri. 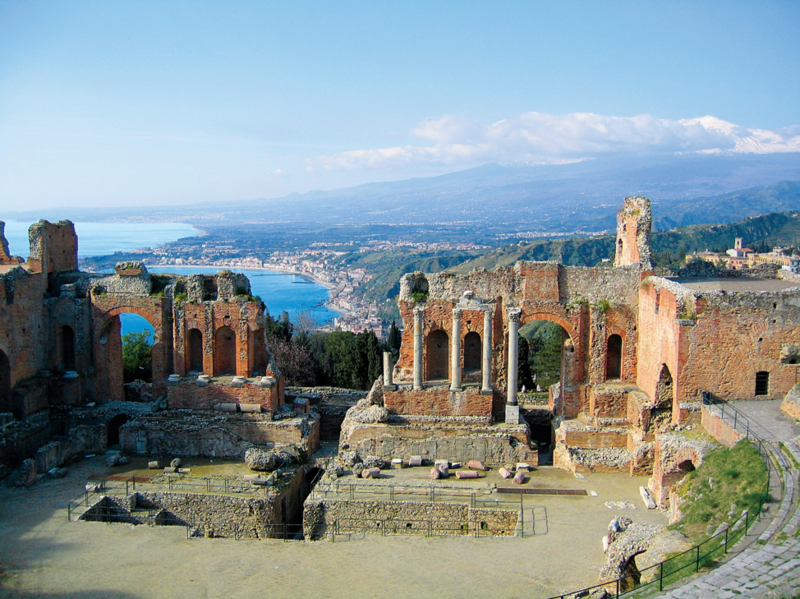 Walking tour of Sicily’s ancient town of Taormina, featuring the third-century B.C. Greco-Roman theater, with views of imposing Mount Etna, Europe’s highest volcano and a UNESCO World Heritage site. Tour of Sicily’s Syracuse, a UNESCO World Heritage site, with a visit to one of the best-preserved ancient Greek theaters in the world and the historic island of Ortygia, the legendary “Old City” of Syracuse. Excursion to the UNESCO World Heritage site of Sicily’s Agrigento and its majestic Valley of the Temples, known for its exceptionally well-preserved Doric temples. Walking tour of Valletta, Malta, a UNESCO World Heritage site, featuring a visit to the iconic St. John’s Co-Cathedral to see the tombs of the legendary Knights of St. John and masterpieces by Caravaggio. Private tour of Casa Rocca Piccola and its lovely gardens, hosted by a member of the noble de Piro family.